I am by no means a pro makeup artist but sometimes I do makeup for friends and family so I wanted to invest in foundations and kit basics that would see me through any skin tone and type while being very compact. 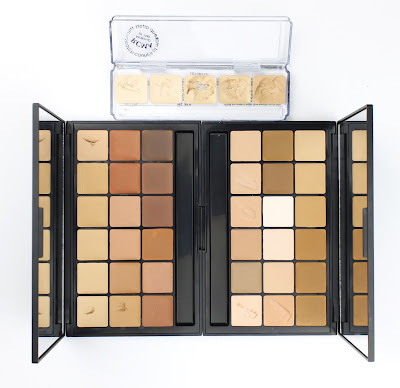 These RCMA Foundation/Concealer Palettes were the clear choice for me because they are versatile, easy to work with and really great value for money considering how many shades you get. Admittedly these were quite a bit cheaper when I bought them (about $90 each from memory) but even at the new price, they are excellent value for money. I figured that if I went for a liquid foundation for my kit I would need to buy at least 6 shades which would cost a minimum of $300 and still wouldn't cover every skin tone which makes these a great, low cost option. RCMA Foundation/Concealer Palette in VK#10. The formula is a high coverage, thick wax based cream that is quite solid until warmed up or mixed with the thinner. The coverage is exceptional and in their solid state, they pack the coverage of a concealer. They can be warmed and blended out for a lighter coverage or layered for a completely full coverage. They are so insanely flexible because they don't set until you set them with powder which means you can keep layering and blending. I also love that it is a very natural finish that you can make dewy with a touch of liquid highlighter mixed in or matte with a good powdering. 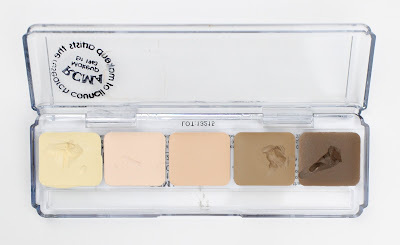 RCMA Foundation/Concealer Palette in VK#11 - If you only wanted to buy one I think this is the most suitable for the sorts of skin tones you will encounter most. I love them because they are so easy and intuitive to use. I usually start with a little bit of foundation mixed with thinner to create a liquid foundation to apply all over and then layer the foundation in its solid state over any place that needs extra coverage by warming it on the back of my hand and blending with my fingers. This is definitely a product that works better with the warmth of your fingers because of the wax base but it works well enough with a buffing brush once mixed with thinner. A little also goes a long way. I have never regretted buying these and would wholeheartedly recommend them. Designer Makeup Tools Stainless Steel Mixing Palette ($9.90), All Rounder Pro Palette Knife ($7.95) and Tapered Foundation Brush 414-24 ($13.45). The one disadvantage is that they can be a little fiddly to mix up on the palette and add the thinner so if I did do more freelancing I might look at investing in a basic assortment of shades in a liquid foundation of my choice but I would still keep these in my kit because it means I would always be able to accommodate for every skin tone. 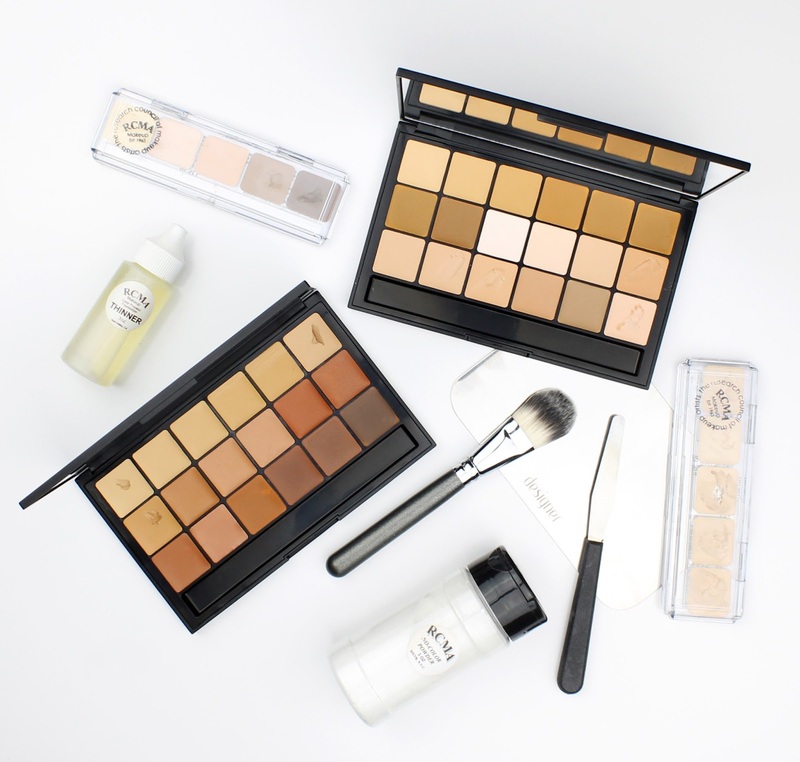 They are a fantastic kit option and I can definitely see why they are loved by so many makeup artists. Honestly I don't use this one as much but mostly only because I tend to reach for powder highlighters and contour products over cream. 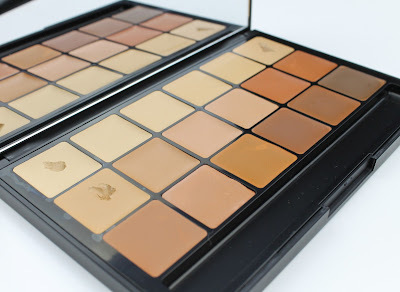 When I am in the mood for it though, this palette really gets the job done and has the exact same easy to blend formula as the foundation/concealer palettes. My particular favourites are the contour shades because between mixing the two, you can always achieve the perfect contour shade! 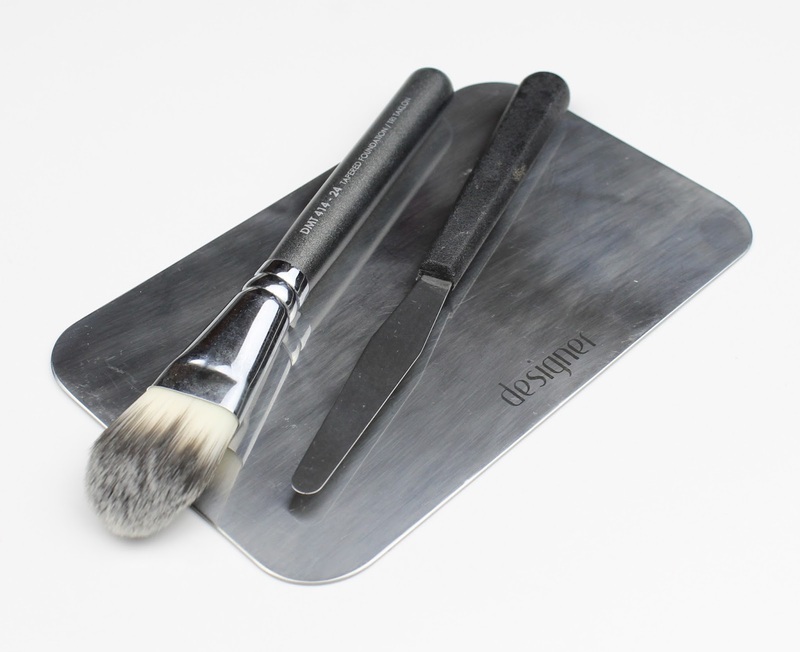 They apply gorgeously and are just so easy to use. They blend in flawlessly with the foundation when you use them both together. Unfortunately the highlight shades don't really do much highlighting on my super fair skin but on a medium skin tone they would look gorgeous. 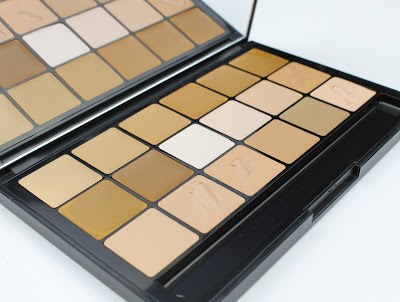 As you can probably tell, I am a massive fan of this thinner and I would say that if you are buying the foundation palette, you need to pick this one up too. It is inexpensive and will last forever! It is incredibly easy to use and allows for the easy mixing of multiple foundation shades and for the creation of a typical sort of liquid foundation formula. The more you add, the more it sheers out the coverage which means you can create anything from a full cover cream to a tinted moisturiser with the thinner and the foundation palette. It is definitely a must in your kit if you have the foundation palettes. 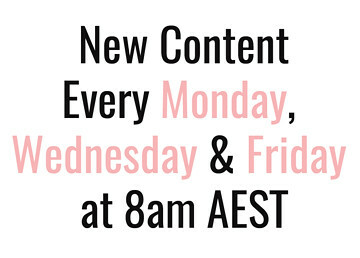 So obviously this has achieved cult status in the beauty blogging world. 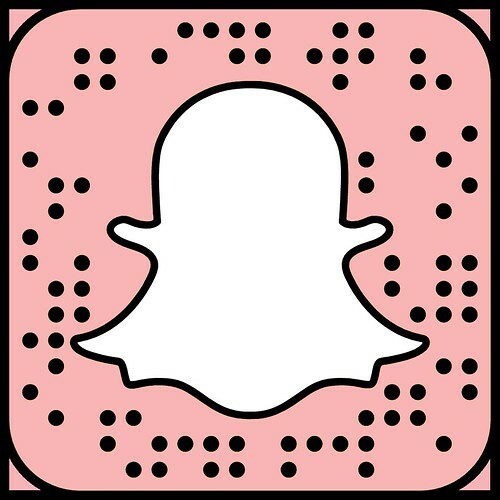 I love it because it is super simple and does what it says. It perfectly sets any makeup look without leaving colour or a white cast for an invisible finish. It is a basic, finely milled translucent setting powder that leaves the skin very satiny and natural looking with a light dusting and can also be used to really mattify the skin. It does exactly what it says on the box and is really cost efficient too which is why it has been so popular as a baking powder I suppose. So there you have my full review of the RCMA Makuep basics that live in my kit. I don't do makeup for people often but when I do, it is always very assuring to have every shade I could ever need at the ready and a gorgeous formula that works on so many skin types. I have always wanted to do a makeup course and start freelancing more but uni always got in the way. Now that I'm graduating in December, maybe it is time to start looking into it again. 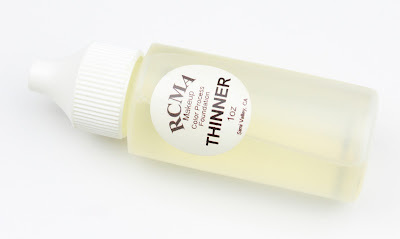 Let me know if you will be looking into the RCMA range after reading this review or if you have already tried some of these products. I would love to know your thoughts on them. Also, if you are looking to buy, I would wholeheartedly recommend buying through the Brisbane based pro store, Makeup and Glow. This isn't sponsored or anything but I bought all my stuff from them and they are fantastic. 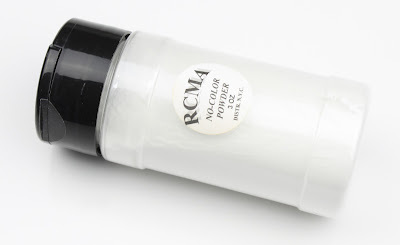 1 comment on "RCMA Makeup Kit Basics"
Hi! I just read your review of ram and i love how informative you are! I do have one question though: DO you need to use a primer or moisturizer with this? And have you tried this on different skin types? i am Combo skin and i would really love to hear your input! Thanks for reading and have a great day!